Cheap Weekend Fun in Boston for August 6-7, 2016! 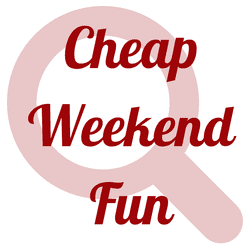 There’s so many fun and cheap things to do this weekend in the Greater Boston area! If you are looking for fun and free things to do on Friday, August 5, 2016, please head here. PorchfestFEST: Saturday, August 6, 2016 at The Lawn on D. Listen and dance to great music this Saturday (rain date on Sunday). Gospelfest: Sunday, August 7, 2016 at City Hall Plaza. Enjoy a fun and free evening full of gospel music. Saint Agrippina Di Mineo: August 4-7, 2016 in the North End. Celebrate the 102nd of this great tradition with food, music, games and more! Patriots Training Camp: Sunday, August 7, 2016 (and other dates too) at Gillette Stadium in Foxboro. Head to Gillette Stadium for Patriots Training Camp which is free and open to the public on select days this summer! Shakespeare on the Common: Last weekend of Shakespeare on the Common! Enjoy a free performance of Shakespeare’s Love’s Labour’s Lost at the Parkman Bandstand on the Common. Free, performances are at 8pm Tuesday-Saturday and 7pm on Sunday. Magic Family Film Festival: Saturday, August 6, 2016. Free outdoor movie screening of Brave at the Prudential Center courtyard at dusk (rain date the following Tuesday if needed). Sylvester Baxter Riverfront Park Movie Series: Saturday, August 7, 2016. Free outdoor movie screening of Good Dinosaur at Sylvester Baxter Riverfront Park in Somerville at dusk. Sunday Night Movie Night: Sunday, August 7, 2016. Free outdoor movie screening of Ghostbusters (1984) on the lawn at Christopher Columbus Park at dusk. Republic Fitness Bootcamp on the Greenway: Saturday, August 6, 2016. Join Republic Fitness and Chiofaro on the Rose Kennedy Greenway for a Tabata bootcamp on Saturday morning at 10am. Please RSVP. Bank of America’s Museum on Us: Saturday and Sunday, August 6-7, 2016. Bank of America & Merrill Lynch cardholders can get into select museums the first weekend of every month for free by showing their bank card (per cardholder, not family). Museum of Fine Arts, MIT Museum and other museums across the state participate. Sunday Parkland Games: Sunday, August 7, 2016 at Herter Park (*location moved for second half of summer) in Cambridge from 3:30-6pm. Enjoy free games and activities almost every Sunday afternoon in the summer.